The victim was shot and killed after he confronted a burglar in his apartment in east Atlanta during a lunch break. 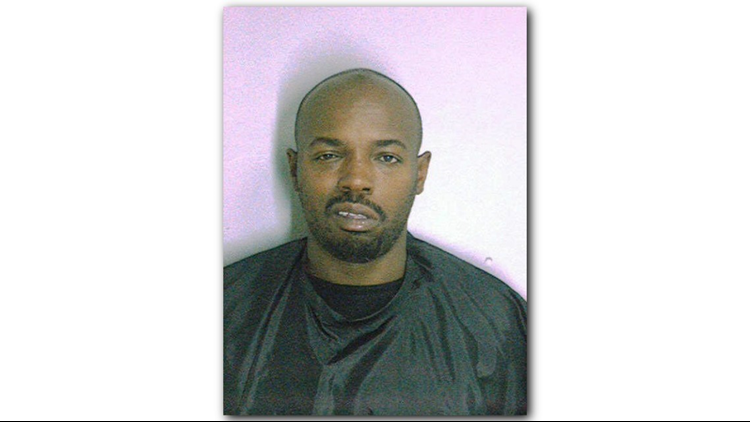 DEKALB COUNTY, Ga. — A DeKalb County jury has convicted a man of murdering 30-year-old Jonathan Alexander Newton after he was caught burglarizing his apartment in the Alexan East Atlanta Village Apartment Complex on Metropolitan Avenue in southeast Atlanta. Prosecutors said 38-year-old Jeffries Scott Anderson broke into Newton’s home on Halloween in 2016. Newton and a co-worker, who also lived in the building, had just returned home for their lunch break when Newton found his apartment door had been kicked in. Newton rushed into his apartment and confronted Anderson burglarizing his home. According to police, Newton tried to subdue Anderson, who reached for his weapon. Newton told his co-worker, who was standing in the doorway, to run away. As he did, the man heard multiple gun shots. Prosecutors said one of the bullets pierced Newton’s heart, killing him. Jeffries Scott Anderson has been sentenced to life in prison without the possibility of parole for shooting and killing 30-year-old Jonathan Newton after he confronted him burglarizing his apartment in east Atlanta. Anderson was caught on surveillance video casing the apartment complex prior to the crime wearing a black knit cap. The cameras also caught him leaving the apartment without a hat on after the shooting. Crime scene detectives recovered the knit cap at the crime scene, next to the victim’s body. It later tested positive for Anderson’s DNA. Investigators need help identifying a man caught in a neighbor's surveillance video after a man was shot inside an East Atlanta apartment. Police think the man could shed some light on the incident. Anderson told police that he was out of town at the time of the shooting and could not have committed the murder. 11Alive discovered that Anderson had a lengthy criminal record. He spent 12 years in prison for a manslaughter and had a warrant in Cobb County. Atlanta Police believe he may have been responsible for burglaries surrounding Newton's apartment complex. Atlanta Police credit images of Anderson caught on surveillance video with allowing them to capture him. They said they believe Anderson may be tied to a string of burglaries in the apartment complex. "Can you imagine how many more days we would have been behind in this investigation without some type of video?" said Deputy Chief Darryl Tolleson after the murder in 2016. Police said they do not believe Newton was targeted, but simply walked in on Anderson during a burglary. The DeKalb County jury found Anderson guilty on after deliberating for less than an hour Tuesday afternoon, according to the DeKalb County District Attorney’s Office. He was found guilty of murder, felony murder, aggravated assault, burglary in the first degree, possession of a firearm by a convicted felon and possession of a firearm during the commission of a felony. Anderson has been sentenced to life in prison without the possibility of parole, plus 30 years in prison by DeKalb County Superior Court judge Clarence Seeliger.